When it comes to caring for your baby, you want the best possible in everything, be it gear, nursing and feeding equipment, or bathing products. 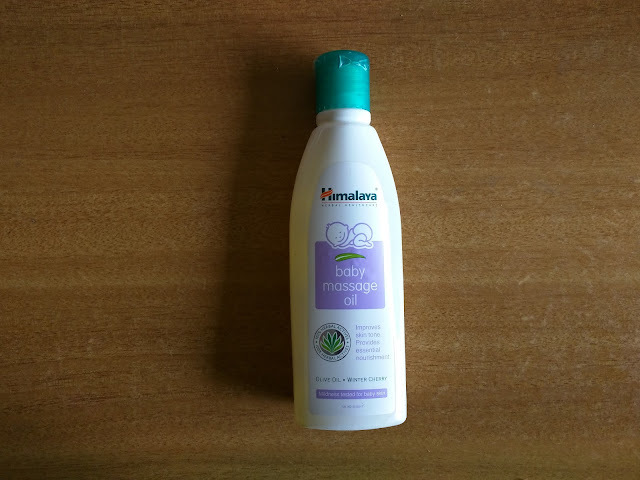 I recently got the Himalaya Baby Massage Oil for my little one, and have been happily using it since the last fortnight. My mother-in-law, grandmother and even the dai or maalish-wali we had hired for the first couple of months, swear by massaging baby daily, and recommend olive oil for this. The other baby oils I received as gifts were mineral oils and of-course there is no comparison. Olive oil is supposed to be the purest, and most beneficial for baby. In-fact once at a parlor, the beautician recommended me to massage my scalp using olive oil! Some may prefer mustard oil, but it generates a lot of heat plus has a repulsive odor. Maybe in regions where it is too cold, it makes more sense. But in a tropical place like Mumbai, olive oil is the answer. Coming back to the product, it smells good, not good as in artificial “perfume” good.. It smells pure, one can say. My baby's skin is soft, hydrated and moisturized after his oiling and bathing routine, and I'm quite happy with the results! An excellent massage oil that nourishes, and moisturizes skin. Enriched with Olive Oil and Winter Cherry, Himalaya Baby Massage Oil improves skin tone and soothes baby’s skin. Daily massage with Himalaya's Baby Massage Oil helps in improving baby's growth and development. Infused with Olive Oil and Winter Cherry, Baby Massage Oil is clinically proven to be mild enough to use on babies. It is a light and non-staining oil which can be used before bath as massage oil as also for moisturizing after bath. • Olive Oil, enriched with Vitamin E, nourishes, protects and softens baby's skin. It has soothing and anti-microbial properties, which ensures that baby's skin is healthy and lustrous. It also strengthens your little one's nails and softens cuticles. • Winter Cherry improves skin tone and soothes baby's skin. Spread all over the body including hands and legs and gently massage. Massaging is essential for your baby especially during the first few months. It increases blood circulation and also tones & moisturizes baby's skin. Through touch, a baby learns to enjoy the comfort and security of being loved. Infant massage helps enhance the bond. · Priced reasonably and is available in different sizes of 100ml and 200 ml priced at Rs 90 and Rs 165 respectively. Himalaya’s Baby Massage Oil is available on their online store. The Oil is also available in all leading supermarkets and pharmacies. It is also available on most shopping sites Amazon, Snapdeal and many more.